But beware, this article is dark and full of spoilers. Marvel’s Fresh Start reboot is in full effect this week with multiple new series including THE IMMORTAL HULK #1, DOCTOR STRANGE #1, and DAZZLER: X-SONG #1. If you’ve been dying to see these shelved characters in action once again, look no further! Unsung Marvel Moments has you covered. DAZZLER: X-SONG #1 page 4. Image courtesy of Marvel Entertainment. Inhumans and mutants haven’t exactly had the friendliest relationship in the past. After INHUMANS VS. X-MEN, the two groups grew to be exceptionally distrustful of each other. 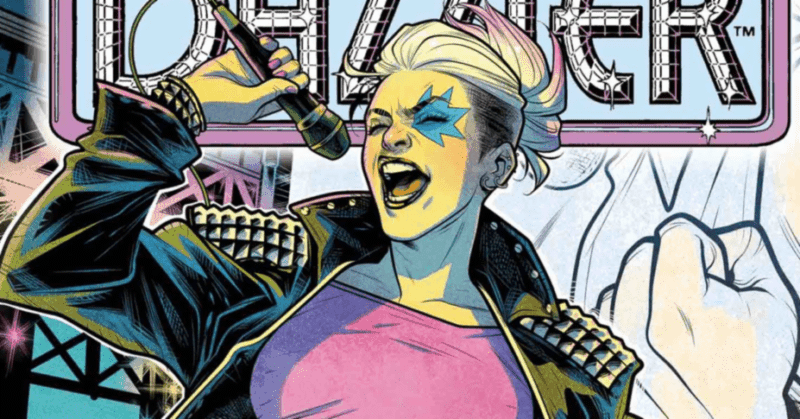 Famous X-Men member Dazzler has a new solo-series, DAZZLER: X-SONG, that perfectly highlights this rising tension between mutants and Inhumans. Writer Magdalene Visaggio tackles a rarely talked about problem in the first issue of the series: violence between minority groups. Hateful groups of mutants are plaguing Dazzler’s concerts and forcing Inhumans to cower in fear. 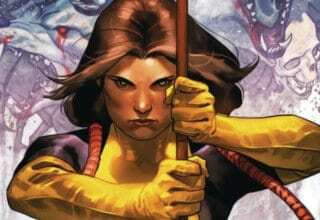 They point to the rising number of Inhumans, which has rapidly overwhelmed the dwindling mutant population. Dazzler just wants to perform and have fun but the militant group of protesters called “Mutant Action” isn’t letting her. From there, violence ensues. Before writing this article, I looked on social media to see what most readers thought of it. I knew before jumping in that the topic is a little controversial, so I was expecting some backlash. What I got was a lot more than “some.” It seemed like everyone who read this issue had a problem with how Visaggio portrays the relationship between mutants and Inhumans. Numerous users thought humans should be the ones taking over Dazzler’s concerts and harassing Inhumans instead of mutants. No one seemed to understand why the story in DAZZLER: X-SONG needed to be told. I’ll be the first to admit that the series already has issues — but every series does. I think Visaggio’s message works because it functions outside of the typical X-Men comic boundaries where mutant hatred is the big problem. The world is not just mutant vs. humans anymore. There are other groups out there, also fighting for equality and representation. Sometimes, these separate groups don’t see each other as allies but as competitors for a singular prize: acceptance. As much as we don’t want to admit it, situations like this do occur and they can get ugly. 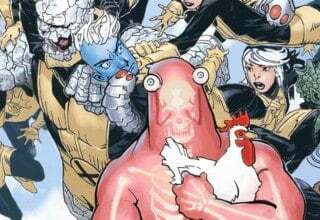 I don’t think by the end of the series mutants will be the enemy. Dazzler herself is a mutant — not an Inhuman. 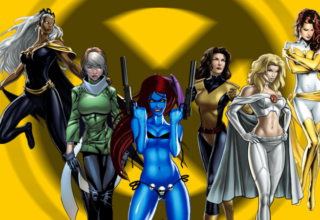 Visaggio is just trying to show a different side of the Marvel comic universe that hasn’t been seen before. As frustrating as the violet situation may be, it’s real, which is why it’s one of our Marvel moments of the week. THE IMMORTAL HULK. Cover. Image courtesy of Marvel Entertainment. The latest interpretation of The Incredible Hulk comes from writer Al Ewing, and he’s taking Bruce Banner down a path he has never been down before. That’s right! Bruce Banner is back from the dead, but his identity crisis with the Hulk is actually more complicated than ever now. THE IMMORTAL HULK #1 kicks off in an unexpectedly grim manner. 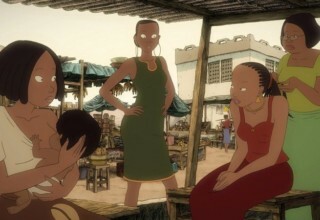 When a convenience store robbery goes wrong, a young girl ends up getting shot and killed by the thief. Though there are only a few witnesses at the scene, one of them happens to be Bruce Banner himself. Shocked at the display of evil before his eyes, Banner reacts by beginning a transformation into the Hulk, only to get shot and killed as well. Now, though that is quite the way to start a new series, this week’s Marvel moment comes in the sequence to follow: when a “deceased” Bruce Banner awakens and transforms into Hulk inside a morgue. Immediately after this transformation, Hulk embarks on a quest and ultimately finds the one responsible for the girl’s death and exacts his own form of justice upon the killer. Ewing displays a strong start to this new series by incorporating a bold, unapologetically dark tone into the narrative. The dichotomy between Hulk and Banner is apparent. However, Ewing now begs the question: are these two identities as distinct as we have been led to believe, or are they just more of the same? THE IMMORTAL HULK #1 will have you on the edge of your seat from start to finish. It will also leave you a little intimidated by the image of the Hulk himself as he shows that coming back from the dead can expose one’s darkest demons. DOCTOR STRANGE #1 page 1. Image courtesy of Marvel Entertainment. Who do you call when Earth’s magic suddenly fades away? Well, when Doctor Strange finds himself losing his touch as Sorcerer Supreme, he gives Tony Stark a call. 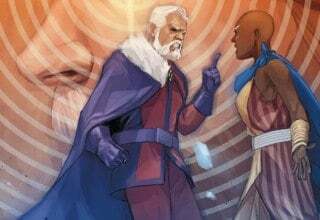 DOCTOR STRANGE #1 presents a new definition to the term mid-life crisis as Strange embarks on a galactic journey to seek out other Sorcerer Supremes who may assist him in reigniting Earth’s magic. Now, DOCTOR STRANGE #1’s strongest points lie in the issue’s depiction of its titular hero’s many facets. The first few pages showcase his confidence as well as his fortitude when he is capable of using magic. This sequence ultimately portrays his reliance on his powers in order to truly define himself as a hero. By the end of this issue though, that changes. The work then segues into Strange’s vulnerability when magic slowly fades from him. As a result, he must succumb to a human state of living, something he has not been familiar with for quite some time. As a result of this strong introduction, this new series will surely satisfy fans of the character and newcomers as well. The conclusion of DOCTOR STRANGE #1 puts our titular sorcerer at rock bottom. So, it will be exciting to see how Dr. Strange makes his way out of this predicament without magic by his side. Next week we’ll be taking a look at some more new releases from Marvel including MARVEL RISING ALPHA #1, MARVEL TWO-IN-ONE ANNUAL #1, THOR #1, and DEADPOOL: ASSASSIN #1. Make sure to check back soon for our top Marvel picks for June 13th!